The family of B vitamins, B2, B3, B6, and B12, aid metabolism, energy production, and healthy circulatory and nervous systems. Promotes healthy muscles, connective tissue, and skin. It builds muscle and is essential to healthy red blood cells. Iron deficiency is a risk in adolescence, especially for girls once they begin to menstruate. “GROSTRONG” for toddlers are known to be beneficial as they help to decrease the risk of infections such as flu, ear infections, and sinusitis. There are several benefits of “GROSTRONG” health drink. 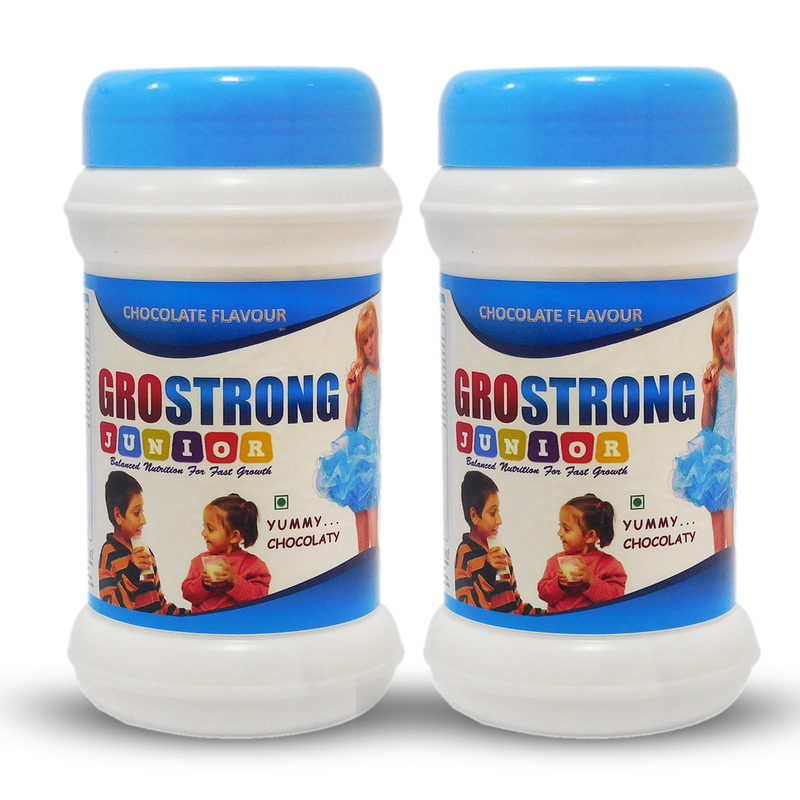 “GROSTRONG” is the ideal option for fussy eaters or underweight children with small appetites because they are a great way of boosting your child’s calorie intake without having to force whole foods on them. “GROSTRONG” is the rich source of Vitamin C and calcium to encourage the formation of healthy teeth and bones and support a strong immune system. 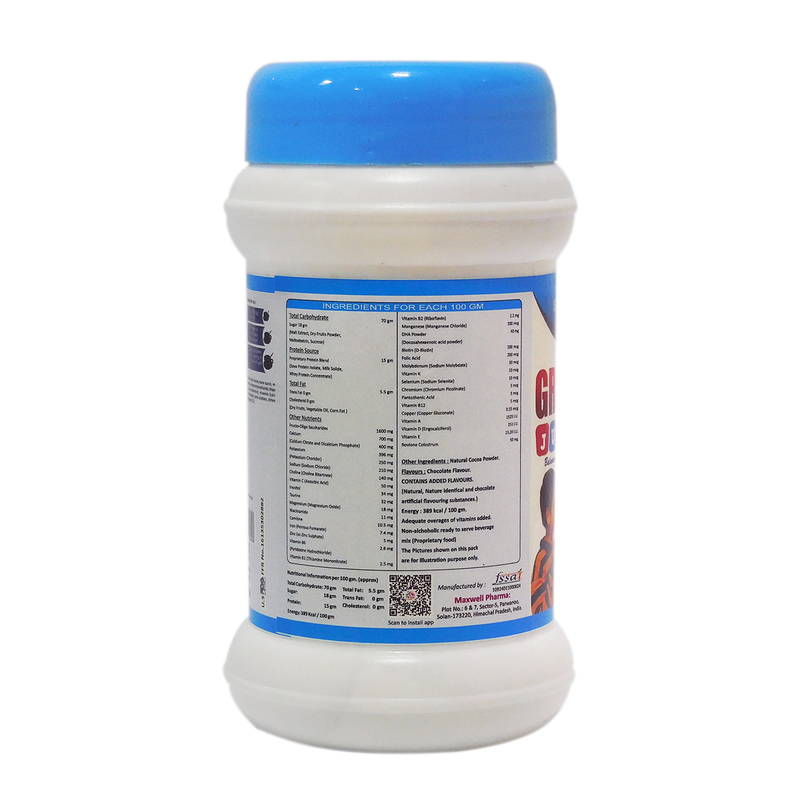 “GROSTRONG” contains prebiotic fibre to encourage a healthy digestive system and help regulate bowel movements. “GROSTRONG” contains essential vitamins and minerals to support growing bodies. 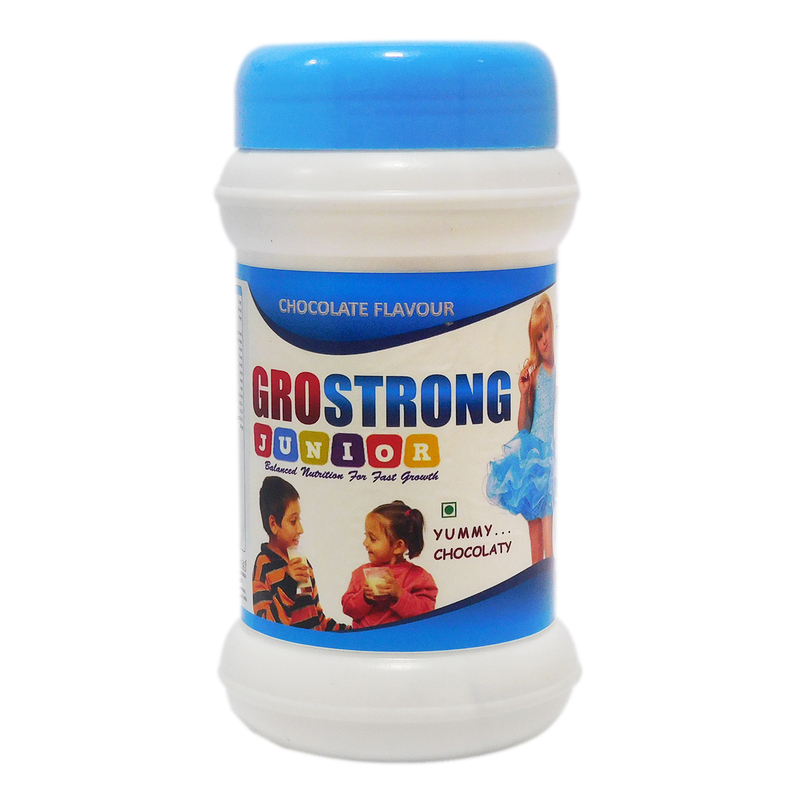 “GROSTRONG” come in various flavors, so there will be one to suit even the fussiest of kids. WalkwelGlucosamine supplementation for healthy and flexible joints. A number of issues that affect the proper functioning of one or both knees may cause pain. Injury is the most common cause, but other conditions such as arthritis may lead to joint deterioration and discomfort. These types of injuries often occur when the knee receives blunt trauma or twisted in the wrong direction. 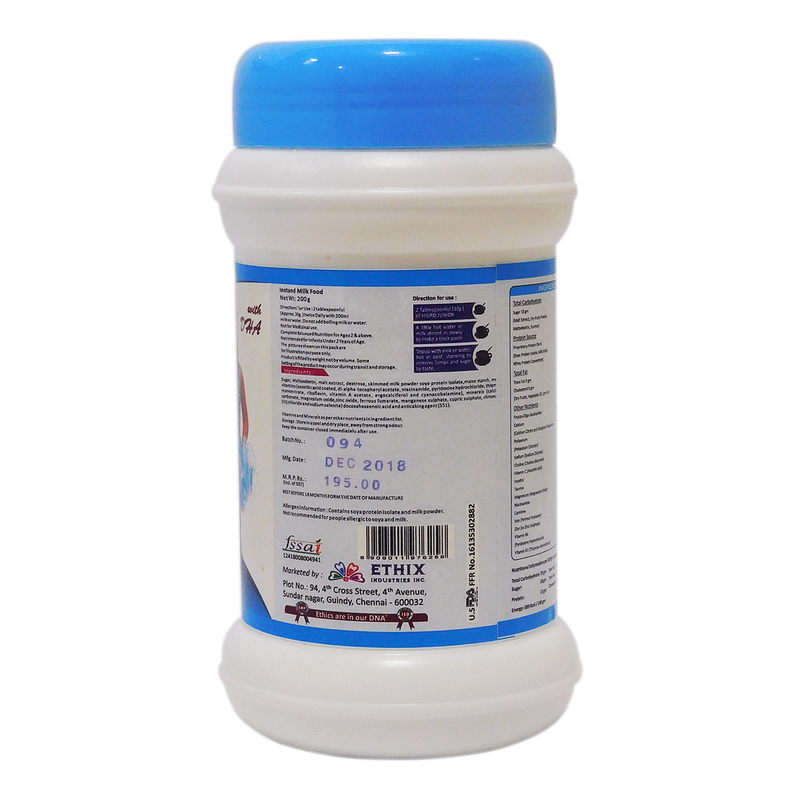 The ingredients used in our” Walkwel” are Glucosamine, Minerals, Amino-acids, Malto-dextrin, Dietary Fibres, Malt, Vitamins, Soya milk protein, Natural Sweetener.